Failure to yield to pedestrians when driving a motor vehicle in Nevada can result in a traffic ticket which can carry the penalty of a fine and demerit points. Whether you are in Las Vegas or any other place in the state, pedestrians have the right of way when they are following the pedestrian laws by crossing the road in a designated crosswalk or legally at an intersection. Motorists failing to yield to foot traffic in Las Vegas, Nevada, can receive a ticket for this moving violation and may face additional charges for reckless driving. You may wish to consult with an attorney because penalties for this moving violation can be severe and may include fines, loss of your driver’s license, community service, and jail time. Can Failing to Yield to a Pedestrian at a Crosswalk Be Reduced to a Non-Moving Violation? Do I Have to Attend Traffic School? Will My Automobile Insurance Rates Be Affected? What Happens if I Ignore My Ticket in Las Vegas? Can I Seal a Nevada Conviction for Failure to Yield to a Pedestrian at a Crosswalk? Drivers must slow down and even stop if necessary for those who are crossing roadways in a legal manner. Motorists failing to yield to a pedestrian in a crosswalk can face serious charges, including that of reckless driving. Additionally, you can face charges if you attempt to pass a vehicle that is stopped at an intersection or at a crosswalk without first making sure that the vehicle is not stopped to wait for a pedestrian to cross the roadway. Failing to yield to foot traffic in Nevada can be charged as either a misdemeanor or a felony. This all depends on whether or not you actually hit the person or persons who are crossing the roadway legally. If there is no accident, you can still face a penalty of a fine of up to $1,000. In Las Vegas, the fine is generally $305. You may also face jail time. If this event happens in a designated pedestrian safety zone, penalties can be doubled and may include community service. If there is a collision, your charges will depend on how much physical harm was involved. 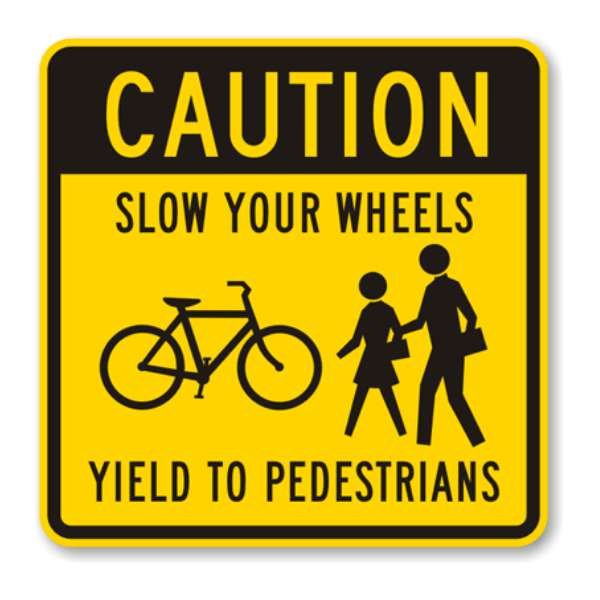 If the pedestrian did not sustain injury you can be charged with misdemeanor reckless driving. The penalty for a first offense can be $250 to $1,000 in fines and 50 to 99 hours of community service. Subsequent offenses carry steeper penalties of up to $2,000 in fines and 200 hours of community service. You may also face up to six months of jail time. Again, all penalties can be doubled in an established pedestrian safety zone. If there is an accident and you cause serious bodily harm, this can result in a category B felony reckless driving charge. If you are found guilty, you can face up to six years in prison and up to $5,000 in fines. When you get assistance from a skilled attorney, you may be able to fight these charges of failing to yield to a pedestrian in a crosswalk, whether you are in Las Vegas or other areas of Nevada. For one thing, the prosecution must prove beyond a reasonable doubt that the driver was at fault. Your attorney can gather evidence from photographs or videos taken by eyewitnesses or surveillance cameras to assist the driver’s defense in the case. Additionally, there may be witnesses to the event, such as from other pedestrians or drivers, as well as from law enforcement officials in Las Vegas or anywhere else in Nevada. With the assistance of a qualified attorney, it is possible to get this moving violation reduced to a non-moving violation. However, if a person sustained serious bodily harm, it is less likely that the judge would be willing to reduce the charges for this offense to a non-moving violation in these cases. If you are found guilty of not stopping for foot traffic, you can have four demerit points added to your license if you did not cause an accident. If you did cause an accident that resulted in bodily harm, a reckless driving charge will result in eight points being added to your driver’s license. If you receive 12 or more of these demerit points, your driver’s license can be suspended for at least six months. Although it is possible to contest this suspension, you will definitely want to obtain the services of a knowledgeable attorney before discussing the matter at a hearing with the DMV. Additionally, driving while your license is suspended is a misdemeanor. Although traffic school is not typically a penalty issued for not stopping for foot traffic, it is possible that attending these classes might help to reduce your sentence. In some cases, your attorney may be able to have the charges dismissed if you attend traffic school before your sentencing hearing. Any moving violation can cause your insurance rates to go up. This is just another reason why it is so important to gain the help of an attorney when facing charges related to not stopping for foot traffic. If your attorney can get the charges reduced to a non-moving violation, your insurance rates should not be affected. If you have a commercial driver’s license, all penalties will affect both your regular license and your commercial license for not stopping for pedestrians, even if you were only driving your own personal vehicle at the time of the event. You can get four demerit points from the DMV on both driver’s licenses with no accident and eight points if there was a collision. You must also report the ticket to your employer within 30 days. Because reckless driving is a serious offense, you could lose your CDL for 60 days with two of these charges. Three charges can incur a loss of your CDL for 120 days. If you hold a driver’s license from another state, you will be subject to the DMV laws of your home state. You should consult with an attorney from your area to get legal assistance. Ignoring a ticket for not stopping for pedestrians is a very serious matter. The judge will issue what is called a bench warrant. You can be arrested at any time and held in jail without the possibility of bail until your case is heard and your ticket is resolved. You can have your attorney file a motion to quash the bench warrant to avoid facing arrest for your ticket. While not stopping for foot traffic is not typically considered to be a deportable offense, it is important to consult with an attorney in such matters. If your attorney gets the ticket dismissed, you can get it sealed immediately. Misdemeanor charges can be sealed one year after the conclusion of the case and felony charges after five years. Whether you are facing a misdemeanor or a felony, you should obtain counsel and fight this serious ticket. You may be able to have your jail sentence or fines reduced, and you may even be able to have the case dismissed. You will face the judge at a bench trial for misdemeanor charges. However, you can have a jury trial if you are facing felony reckless driving charges. You may also be able to settle your case without going to trial. Because of the serious nature of this offense, it can really help your case to have an attorney to assist you. You may be able to avoid going to court, or your sentence may be reduced. Have you received a traffic citation for failing to yield to pedestrians while driving in Nevada? Our attorneys at Fix Your Tickets can help you get tickets reduced or even thrown out. For a FREE consultation contact Las Vegas Criminal Defense Attorney Bennair Bateman at 702-605-0505. In many cases, we can get your traffic tickets reduced to a non-moving violation or dismissed with no need for traffic school, and zero demerit points on your driving record.